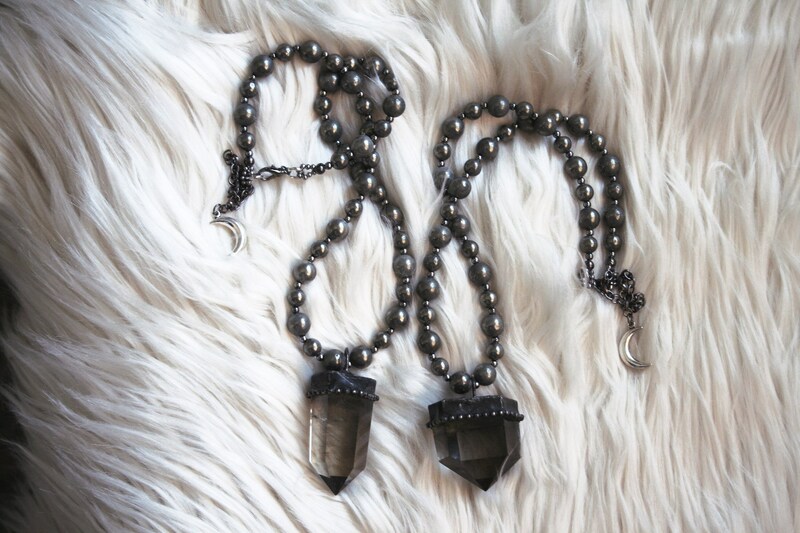 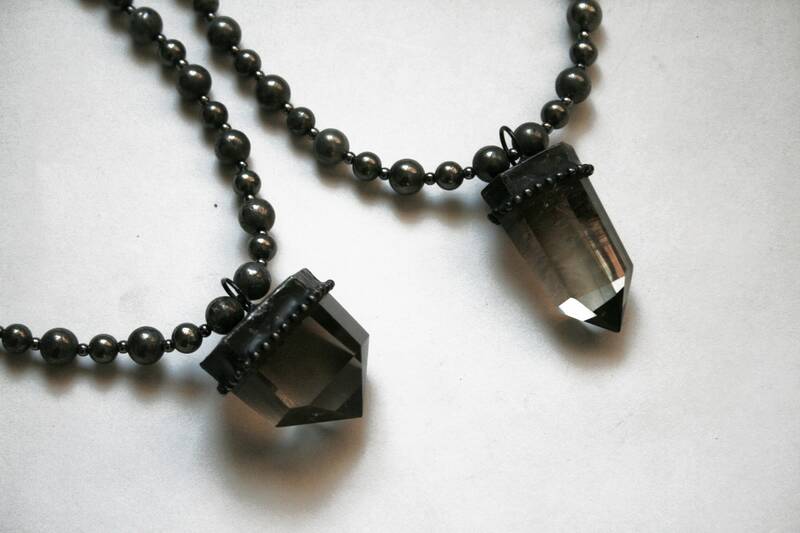 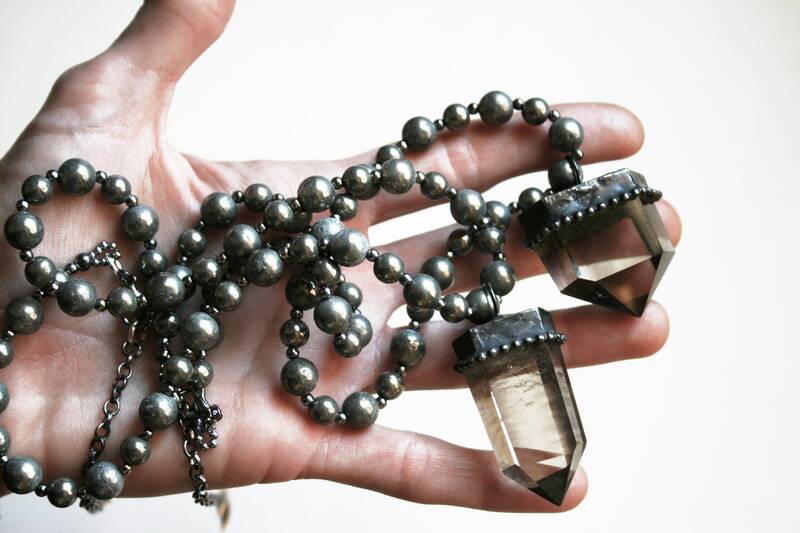 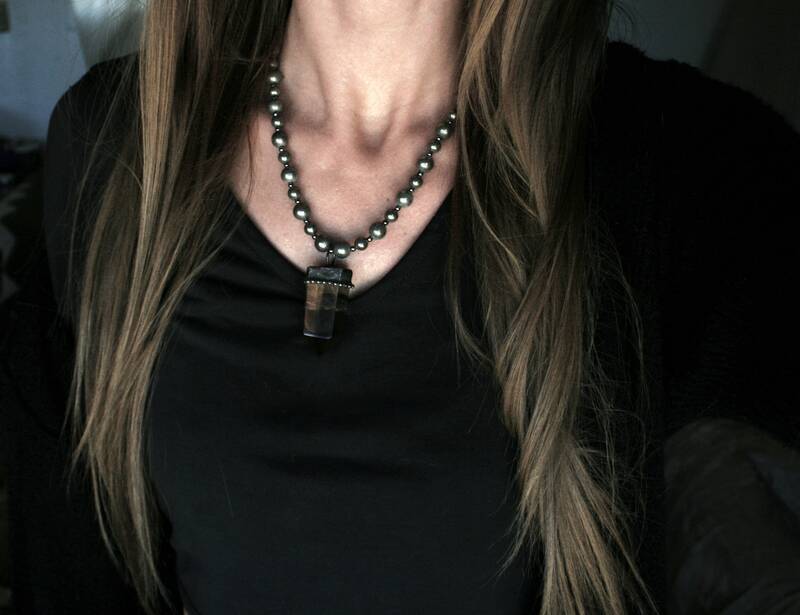 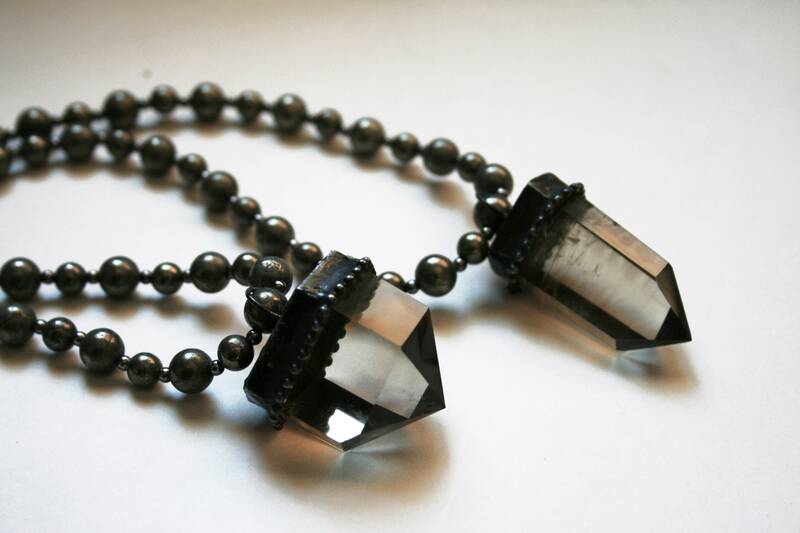 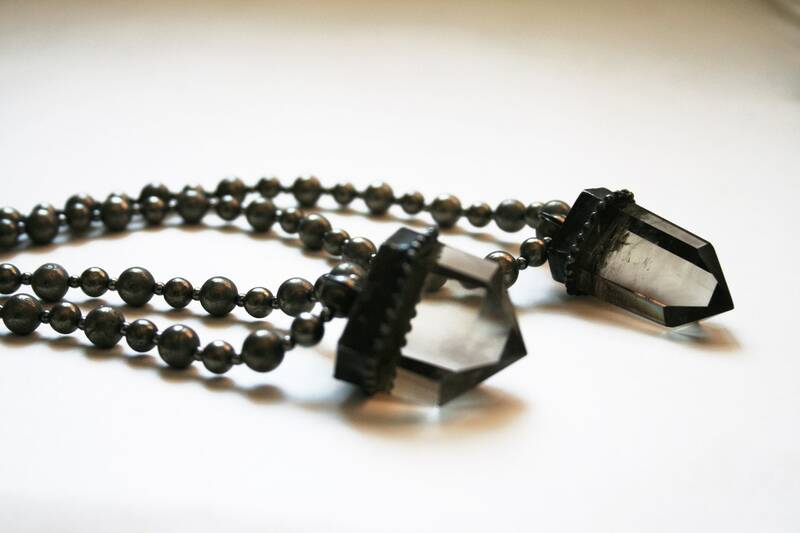 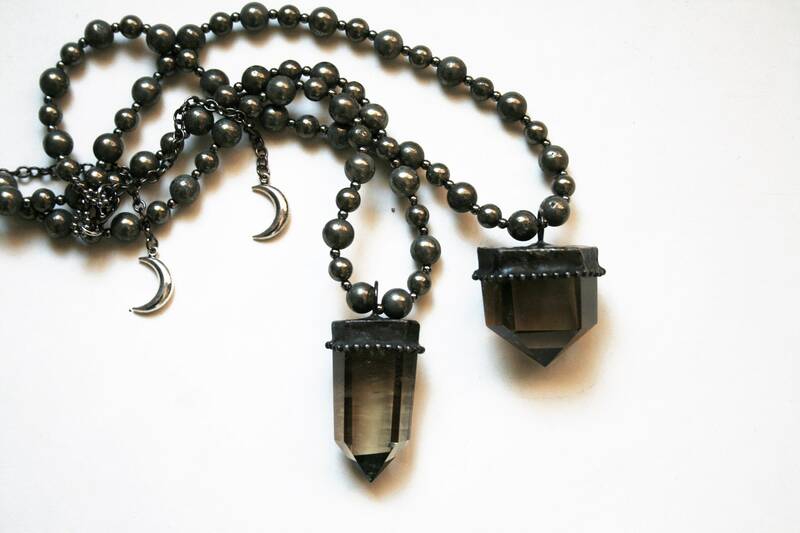 One necklace featuring a smoky quartz crystal point, in a sculptural silver alloy solder setting. 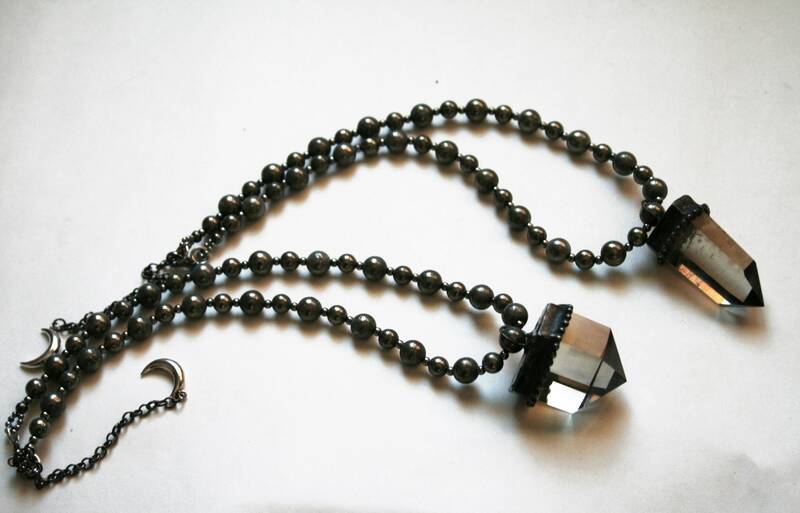 This pendant hangs from a handmade strand of large pyrite beads and tiny gunmetal spacer beads. 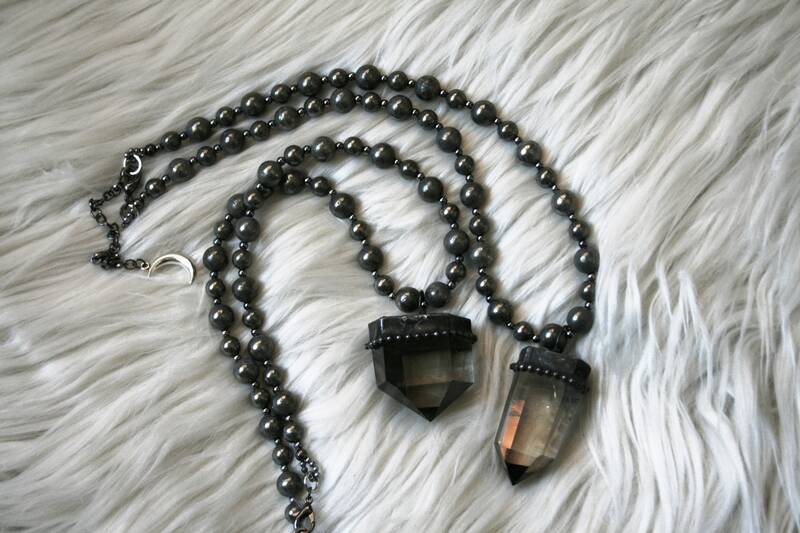 Necklace is adjustable between approximately 16.5" - 19.5", with a lobster clasp and silver plated moon charm. Pendants are about 1.5" - 1.8" tall, including the bails.